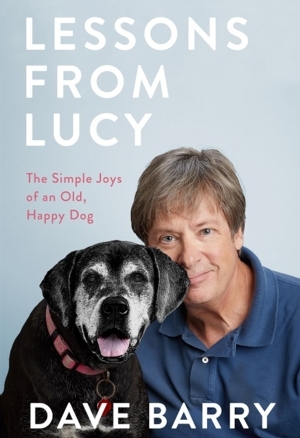 Mon, April 8, 2019 7:30 P.M.
A 30-year writer at the Miami Herald whose column was syndicated in more than 500 newspapers, humorist Dave Barry won the Pulitzer Prize for Commentary in 1988. His more than 30 New York Times bestselling books include I’ll Mature When I’m Dead, Insane City, You Can Date When You’re 40, and Dave Barry Slept Here: A Sort of History of the United States. Two of Barry’s books were used as the basis for the CBS TV sitcom Dave’s World. Drawn from daily life’s deeply personal but universally experienced humiliations, absurdities, and moments of grace, Lessons from Lucy urges us to find the joy in our lives.